When "The Sopranos" hit the small screen in 1999, there wasn't a leading character on television to compare to troubled patriarch Tony Soprano. Sure, the big screen had long since made room for complex antiheroes. Heck, Robert De Niro, Al Pacino, Clint Eastwood crafted careers by bringing those types to life. But TV is different. Viewers develop long-term relationships with the familiar faces on weekly dramas. Audiences were used to cheering for the good guys they knew and loved and waiting for the baddies to finally get what was coming to them. So why would they tune in to see a lead like Tony Soprano? Because of an actor like James Gandolfini. It would have been easy to play Tony bigger than life -- he was a bigger than life character. He was equal parts tough guy, wise guy, ruthless killer and devoted father, flawed husband and struggling soul. That's what made him a tough sell. But Gandolfini somehow balanced the exaggeration that was inherent to the world of a crime boss with the mundane, everyman existence behind it. Sure, he cracked open a few heads, but he also fed the ducks that called his pool home. He was quick on the trigger, but he was also a hit around the barbecue. "The decent part of Tony, the part that stood in for the tragically wasted human potential Dr. Melfi kept trying to tease out and embrace, came from Gandolfini," New York Magazine writer Matt Zoller Seitz wrote shortly after the actor's death. "His humanity shone through Tony's rotten façade. 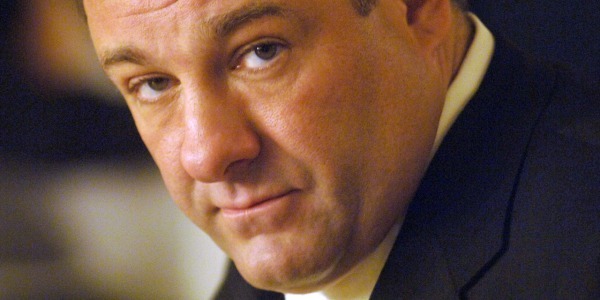 When people said they sensed good in Tony, it was Gandolfini they sensed." Gandolfini made Tony real. He made the unlikable, likable. "I once asked ('Sopranos' creator) David Chase what did it (mean) to find Gandolfini, and he looked at me as though I was crazy," GQ writer and author of "Difficult Men" Brett Martin told TODAY. "He said, 'It meant everything.' What he brought to that role, the depth and the humanity and the kind of soulfulness, as well as the ugliness and the anger. It changed television forever, really." Gandolfini's appealing portrayal of a gritty, unappealing guy ushered in the era of the modern TV antihero. The bad guys, the morally ambiguous guys, the not-your-typical-leading-man guys -- their time had finally come. Which means there are plenty of actors who owe a debt of gratitude to Gandolfini. If viewers hadn't connected to his portrayal of Tony Soprano, would they have even had the chance to connect to Michael C. Hall's portrayal of Dexter Morgan in "Dexter"? The serial killer with a moral compass may seem miles away from the mobster, but both characters possess a strong sense of right and wrong, as well as a taste for bloody business. Tony came first. He was the test. In passing the test, Gandolfini made way for Hall and many others. Jon Hamm's downward spiral as Don Draper on "Mad Men" is often Tony-esque, especially in the way he can hop from his mistress's arms to his marital bed without a moment's regret. Bryan Cranston's far darker descent as Walter White on "Breaking Bad" sees a basically good -- or at-one-time good -- man find a way to justify death and destruction, just as Tony did again and again. And Michael Chiklis' brutal-with-cause Vic Mackey on "The Shield" shared Tony's satisfaction in "convincing" an enemy to divulge hidden information. They all benefitted from the ground Gandolfini broke -- as do audiences, who get to enjoy some of the most complex characters to ever grace the small screen.